Well, all things must come to an end and the same is true for this column. Fear not, this isn't goodbye forever, it's simply goodbye until spring training. This year, the closers have made us laugh, they've made us cry, but most important of all, hopefully they've made a championship possible for you. For the lucky few still plugging along, we'll briefly touch on the pertinent news (spoiler: there's isn't much), dish out of seasonal awards, and for you dynasty league folks, look ahead to a new names to stash over the winter. -The Yankees bullpen remains a nightmare for those of you trying to play musical closers in the playoffs. Aroldis Chapman was activated from the disabled list, used in a high leverage situation, and proceeded to look awful. Zach Britton got the most recent save chance and could see the next, but its tough to count of anyone from this bullpen as a sure-start in fantasy playoffs. -Andrew Miller has pitched much better since being activated from the disabled list this latest trip and he may even be a candidate to lock down some saves over the final two weeks as the Indians sit back, relax and rest up for the playoffs. -Brandon Morrow is officially out for the remainder of the year (and playoffs), while Pedro Strop is also highly questionable to return. Steve Cishek has been the best one to own thus far, but given Joe Maddon's tendency to use Cishek regardless of innings, he might turn to another reliever to assume a more dedicated role in the 9th inning over the next two weeks before the playoffs. Justin Wilson has pitched much better lately and could be that guy. -Ty Buttrey has saved the game in each of the Angels' last three save chances. Yes, Ty Buttrey. *Sigh* He's worth rostering if you're playing in the fantasy playoffs and need a lead on saves, but with a crowded bullpen and a skillset that is less than ideal, there's no reason dynasty leaguers will need to pay attention. Blake Parker hasn't pitched poorly, so he still leads the committee, but this is a situation to basically avoid. .....aaaaand that's it! See? I told you this wouldn't be painful! 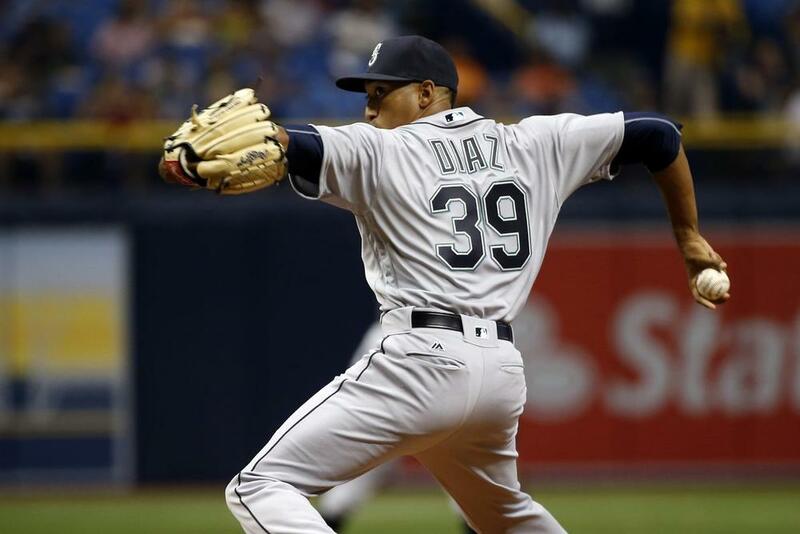 Most Valuable Play: Edwin Diaz (SEA) - The man has 56 saves! Unfortunately, he's likely going to run out of games to try to tie or beat K-Rod's 62 in a season, but it's still been an incredible journey for a guy many analysts were questioning why he was being drafted so high. Biggest Bust: Kenley Jansen (LAD) - Don't see your not-so-favorite player here? Don't worry, there were plenty of busts to consider, but none was larger than Kenley Jansen, who was drafted as early as 16th overall in NFBC drafts this spring (don't ask who drafted him there, nothing to see here, I'm sure it's just a coincidence my Main Event team is the anchor of my league). From ineffectiveness to health issues, 2018 was a disaster for Jansen. Newcomer of the Year: AJ Minter (ATL) - Asked to step up for the suddenly contending Braves and AJ Minter didn't skip a beat. Minter showed why he was such a highly sought after commodity as a handcuff in draft season and has managed to wrestle the starting job away from Arodys Vizcaino, even though the latter has returned from him injury. Value Monster of the Year: Blake Treinen (OAK) - I'll admit it, I missed this one, folks. Drafted as one of the last closers off the board, Treinen has simply been incredible for the surprise Athletics. Having saved 37-of-41 opportunity with a 0.85 ERA and 0.85 WHIP, Treinen has easily been the best surprise and cemented this 2018 season as the year where waiting for closers paid HUGE dividends. Jose Leclerc (0.83 ERA, 0.65 WHIP, 45% K, 7.5% BB) - Leclerc has been incredible for the Rangers since taking over as closer and is under team control from the next four seasons. He's one of those guys the industry may discount since his breakout happened after fantasy football prep began. Taylor Rogers (1.09 ERA, 0.65 WHIP, 36% K, 8% BB) - While he hasn't closed many games, Rogers has been easily the best arm in the Twins bullpen. The team will look for a closer of the future, but if they can't sign on, Rogers may emerge as an option next spring. Matt Strahm (1.57 ERA, 0.91 WHIP, 36% K, 6% BB) - While Kirby Yates has been effective as the closer, he's entering his second year of arbitration and will now have closing experience under his belt for those negotiations. It's definitely possible the low-budget Padres will seek a trade partner this off-season, clearing a path for Matt Strahm to take over. Strahm has been excellent and is under team control until 2023 and doesn't hit arbitration until 2020.